The Ike Derby and Classic kicked off on Jan. 27, and the first champions were crowned during the 5/6-Year-Old Open finals on Jan. 29. Out of a field of 21 horses, Equi-Stat Elite $6 Million Rider Austin Shepard and Twistful Thinking took home top honors. The duo was second to go in the first set of the finals, and their score of 224 held until the end, resulting in a paycheck worth $20,000. This win brings Twistful Thinking’s lifetime record to more than $221,000. The 6-year-old mare, who was bred by Charles Israel, of Birmingham, Alabama, and is owned by Shepard and his wife, Stacy, is by Equi-Stat Elite $12 Million Sire One Time Pepto and is out of the Freckles Fancy Twist mare Some Kinda Twister. She is among the top five money-earners on her sire’s offspring record, and is the top performer out of her dam. Twistful Thinking made her show pen debut at the 2014 National Cutting Horse Association (NCHA) Futurity with Shepard’s son, Cade, where they tied for the Reserve Championship in the Limited Non-Pro. The next year, Cade rode the mare to Derby Non-Pro Championships at the NCHA Super Stakes, NCHA Summer Spectacular, Pacific Coast Cutting Horse Association Derby, Cotton Stakes Classic and Southern Cutting Futurity. 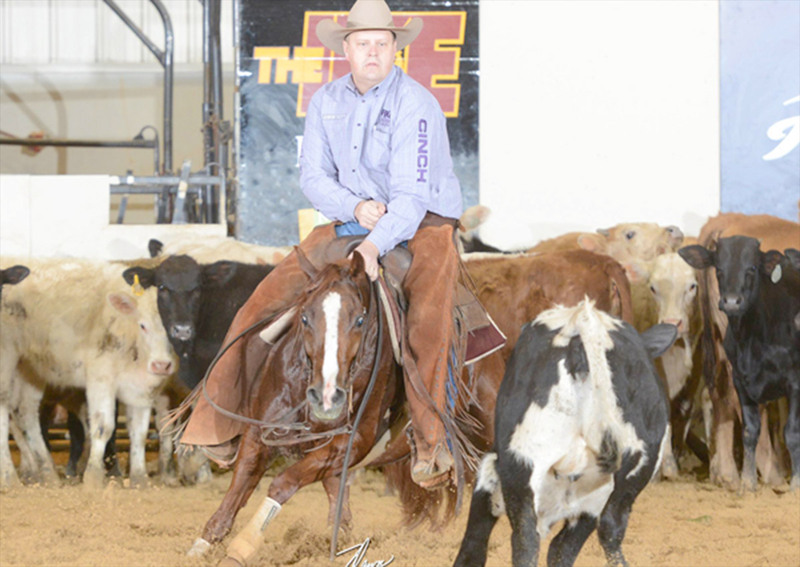 In 2016, Twistful Thinking returned in the Classic/Challenge classes and picked up the Co-Reserve title in the NCHA Super Stakes Non-Pro and the Reserve Championship in the Non-Pro at the Breeder’s Invitational with Cade in the saddle. They finished out last season with a win at the Southern Cutting Futurity.